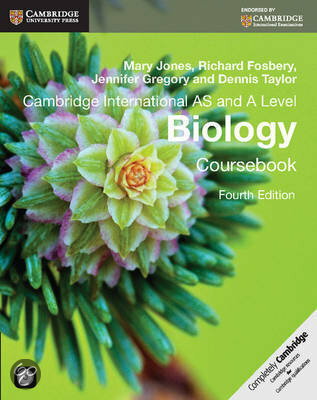 On this page you find summaries, notes, study guides and many more for the study book Cambridge International AS and A Level Biology Coursebook with CD-ROM, written by Mary Jones & Richard Fosbery. The summaries are written by students themselves, which gives you the best possible insight into what is important to study about this book. Subjects like Biology, biology, A Level, cie, energy, units of measurements, Notes & animal will be dealt with.